The Social Security Trust Fund holds $2.9 trillion dollars in government debt. It has accumulated these IOU’s because revenue from Social Security taxes has exceeded the benefits paid out. But this trend, as indicated in the Social Security Administration's (SSA) 2018 Annual Reports, is quickly reversing. As government bonds begin to be redeemed by the aging population, the funds in Social Security will deplete until they are completely empty in 2034. While the fund will not be bankrupt due to revenue from payroll taxes, Social Security will only be able to pay out at around 79% of current rates. To continue to fulfill the promise of Social Security, our elected representatives must find common ground and reform the system. The system was last comprehensively addressed in 1983 when the Reagan administration increased Social Security taxes and raised the retirement age. This same combination of changes is likely to be the chosen approach for the current shortfall. Yet there is more to the issue than these modest reforms: as I will outline, there are several different methods for additional revenue and/or decreased benefits that yield different impacts among low, average, and high-income earners. There are four potential changes on the revenue side and four possible changes in benefits that can save Social Security. Let's jump in. Increase the tax rate. Both employees and employers pay 6.2% of wages into the Social Security fund. Another 1.45% each is paid into Medicare. Increasing this tax rate may be the most straightforward but also potentially the least politically feasible approach for addressing the shortfall. On the other hand, the December 2017 cut in income taxes might provide some political space for an increase in Social Security tax rates. Changes in interest rates and interest income. The Social Security fund is essentially paid interest on the $2.9 trillion in government notes. For the last several years, the interest rate has been at historic lows. The effective interest rate for Social Security in 2017 was three percent. The average rate from 1980 through 2017 has been over seven percent. Interest rates are expected to rise over the next few years, which will provide a larger return on the fund’s $2.9 trillion investment. This will be more than offset, however, as that surplus dwindles down to nothing between now and 2034, meaning that interest income paid into the fund will dry up. The net effect of this dwindling will be more pressure for politicians to find additional revenue sources and/or benefit cuts. It also means that this part of government debt will have to be funded by other sources such as pension funds, investors, and foreign governments. Upcoming interest rate and interest income changes are not really an option to consider, but a harsh reality that must be recognized. Even with low interest rates, the Social Security fund gained $93 billion in interest income in 2015, amounting to 10% of the payments into the fund. That additional income source will be disappearing over the next decade or so. Increased taxes on Social Security income. Social Security is paid to all eligible retirees, regardless of whether they have substantial additional income. Those receiving Social Security as their only source of income generally do not pay income taxes because total income is too low. However, those with additional income may have to pay income taxes on a portion of their Social Security benefit. 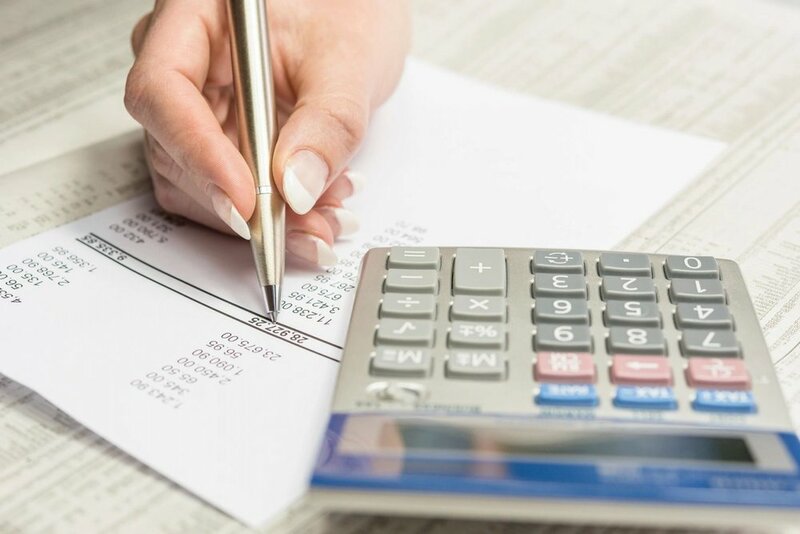 The specific calculation varies, but, in general, from 50% to 85% of Social Security income is subject to be taxed for those with substantial other income. Those taxes become part of the Social Security fund. So changing the formulas for Social Security taxability, such as making Social Security income fully taxable for high earners, could provide additional contributions to the fund. Like most options described here, this alternative would not provide a full solution to the funding shortfall but could be considered in combination with other options. Some have proposed eliminating the cap altogether (as was done for the Medicare tax in 1994) while others have proposed raising the cap so that ninety percent of all wages would be subject to Social Security withholding. That would more than double the current cap, up to about $270,000 according to the CBPP report. Either a higher cap or elimination entirely would most likely be implemented gradually. An additional alternative is to use a donut hole approach, where the first $127,200 of income (for 2017) is subject to tax, then no Social Security tax for the next $127,200, and then the tax is back in force for income above $254,400. Thus only the very highest incomes would be subject to additional Social Security taxes. Do nothing. If no changes are made, once Social Security has no excess funds to pay benefits, then the revenue from current wage earners would be used to pay a reduced benefit. For some who have little or no other retirement savings—generally those at lower income levels—this will be a significant problem. For others who have had the good fate or ability to set aside additional retirement funds, this reduced Social Security amount will be a more negligible issue. Public sentiment is in favor of preserving existing benefits or even expanding them. If and when politicians get serious about addressing the Social Security issue, the most pressing need will be to ensure that those most in need are able to have a basic but sufficient retirement in their later years. No action at all does not seem feasible. Additionally, any reduction in benefit level must be implemented on a staggered basis, so that those close to retirement age are not adversely affected. Increase the retirement age. The full retirement age is being gradually increased to 67 (for those born in 1960 or later), though early retirement is available at age 62 with a decreased benefit. Maintaining the early retirement age at 62 but gradually raising the full retirement age to 69 or so would provide a range of retirement options while helping to preserve the trust fund. More and more of our stores have self-checkout lanes, which many consumers find convenient even while traditional cashiers are available. Self-driving buses and trucks in the coming decades will revamp the demand for commercial drivers. These and many similar changes from automation can either be devastating or, with sufficient national attention, a “happy problem” where Americans can have more free time while machinery accomplishes a greater proportion of the necessary work. The point of this observation is that a seemingly straightforward approach to a Social Security fix—in this case raising the full retirement age—may be more fully informed through a broader consideration of how advances in technology can improve overall lifestyle. [A]n annual income level could be set at which individuals would no longer qualify for a benefit. For example, if an individual who was eligible to receive Social Security benefits was netting $200,000-plus in annual income, he or she probably doesn't need Social Security benefits to make ends meet. There are two ways to look at means-testing. First, it may seem unfair that someone pays into the Social Security fund for decades but then does not get much or anything back in return, regardless of their income level. The second approach is to view Social Security like an insurance policy. You might never get anything back from your auto insurance or term life insurance, but those payments are made “just in case.” In a similar way, Social Security could be something that is available when and if it is needed. The details of means-testing would need careful consideration so that, if implemented, it applies to those who clearly do not need any or all of a Social Security benefit in order to maintain an appropriate retirement. Changes in progressivity. Those who have paid less into the Social Security fund get proportionally more out of it. According to a report by AARP, workers with comparatively high wages receive about 35% of their former income from Social Security benefits once they retire. Those with low wages receive about 57% of their former income from Social Security. The high wage earner still gets a greater dollar benefit each month than the low wage earner, but not as a percentage of former income. These ratios could be changed to ensure that low wage earners can continue to have a sufficient but basic Social Security payment while decreasing the benefit level for higher wage earners. Those with lower income have significantly less capability to fund alternative retirement plans, while higher earners generally will have greater capability to set up retirement programs to provide funds in addition to their Social Security payment. The current level of progressivity in Social Security benefits can be understood more fully by compiling information from a report by the Urban Institute. A recent study by the Urban Institute provides detailed information about whether, for gender, age, marital status, and income level, the money paid into Social Security is less than or greater than the average benefits received. The study utilizes “present value,” which takes into account that a dollar in the past had a higher value than a dollar today. It is based on averages since the lifespan of individual beneficiaries will vary. The money someone puts into Social Security is not paid back to that same individual but rather is used to pay benefits to current retirees. Similarly, once someone retires, their payments come from the contributions of current workers. Nonetheless, a comparison of the payments made into the fund in comparison to the expected benefits to be received can be useful for comparing the different demographic groups. A broad summary appears below, and provides information for single beneficiaries, married with one breadwinner, and married with two breadwinners. With reference to the right-most column, notice that for single retirees, low and average earners get back more than they put in, while higher earners get back less than they contributed. This is consistent with a progressive structure. 1 Single earners are an average of men and women. Women tend to have longer lifespans and on average receive greater lifetime benefits. 2 A maximum earner earns the Social Security maximum taxable wage every year ($127,200 in 2017). Additional Notes: Based on 2017 dollars, adjusted to present value at age 65 using a 2 percent real interest rate. Assumes benefits scheduled in law will be paid. A worker works every year starting at age 22 and retires at age 65. This progressive structure is not in place for the married categories, however. In all cases, married retirees on average receive back more than they contribute, even for the highest earners, and in all but one case have a greater net benefit than any of the single categories. While acknowledging that Social Security has a spousal benefit, it seems interesting and unusual that married couples, especially those with higher earnings, have a significantly greater level of net benefit compared to single individuals. If unmarried high earners subsidize low earners, then it seems appropriate that married high earners would do likewise. This tilt toward married beneficiaries is in place even though Congress in 2015 began a phaseout of two provisions that provided married individuals with potential additional benefits that were generally considered to be loopholes. The Social Security program was intended to be—and still is today—a social insurance program. It’s a government-run program providing economic security to U.S. citizens. Although Social Security historically has paid benefits to anyone who qualifies regardless of income level, the overall intent has been to provide basic retirement funds to those who need it. Within all the options for restoring health to the program for future generations, this central objective is the most important to maintain. Across-the-board benefit cuts would be the most detrimental to those who are most in need. It is not class warfare, in this case, to observe that those who have substantial retirement income from additional sources do not require Social Security benefits to the same degree as those who (in the vast majority of cases through no fault of their own) do not have that alternative. Therefore, the Social Security repair options that appear the most appropriate are those that maintain a basic yet sufficient retirement for those that most need that assistance. The greatest change in additional funding or reduced benefits should come from those that least need those benefits—generally the higher earners. Social Security was designed to supplement other funds, not to be the sole source of retirement cash. Nonetheless, one-third of beneficiaries rely on Social Security for 90% or more of their income. These retirees do not have a lucrative lifestyle, and need not be blamed for the winds of fate that have put them in this situation of only basic subsistence. A minimum level of security is the least this country can offer its retirees.